As a man of a certain age, Neil Wilson recalls with misty eye the days when navigating the single malt landscape was a straightforward process. Then came NAS… and everything changed. And not for the better, he reckons. This morning a reminder of my age landed on the doormat from Laithwaite’s, the mail order wine merchant, sent to me due to my Saga dealings on car insurance. A £50 discount voucher was included, to be set against the first order of one of their case selections. I perused the catalogue and began to take note of the names of many of the New World wines. Not having an appellation-derived classification or any wine châteaux, they simply give the punter what their marketing people tell them to, so they now have to consider … The Full Fifteen, Black Stump, The Prophet, Tomahawk, Daisy and The Tambourine Man, Firespinner and so on. Is this due to vast quantities of stock that need to be shifted? Doubtful, as Laithwaite’s claim only to deal with smaller producers, but in Australia ‘small’ could be ‘big’ in European terms. Anyway, the reality is that daft names for New World wines are here to stay. When I first came across Australian wine in the late 1970s, it came in a box and simply carried the name of the grape (and many still do), but the relatively recent move to giving their wines ‘personality’ is something the whisky industry is doing with NAS (no age statement) bottlings. For the record, I am now 60 and started drinking malt whisky in Bahrain after I left university, largely because I was asked to smuggle a flagon of Glenfiddich into Kuwait for a thirsty friend. After that my education in, and exploration of, Scotch malt was based on the traditional road map of a distillery name and an age statement. And, back then, very few distilleries had more than one UK home trade single malt bottling, so the map was fairly clear to navigate. It served me well and anyone else who started the same journey back in the ’70s, ’80s and ’90s. And now we have the NAS conundrum. ‘Flavour-driven’ is Diageo’s byword on this and, in terms of blended Scotch, I have no problem with this at all. But single malts? Do we have a stock management problem here? Or are the marketing people coming up with ideas simply to splice and dice the consumer demographic and offer something for everyone? If the answer to that last question was ‘yes’, then I am afraid I must be gradually disappearing from the standard deviation curve of their consumer profile. Let’s look at one of my favourite single malts, Talisker. This dram has always been great value. Bottled at 43% or 45.8%, it offered more bang for your buck in the old days. Back then, it was offered as an 8- or 12-year-old for the trade. But that was before the sales of single malts took off. The situation now means that, as I write, The Whisky Exchange lists 21 ‘standard’ expressions. If we discount the three gift packs (one comes with the Classic Malts & Food recipe book … don’t start me), a half-bottle and an independent bottling, we are left with 12 bottlings with age statements, and four with NAS. So the situation is not too bad, then? 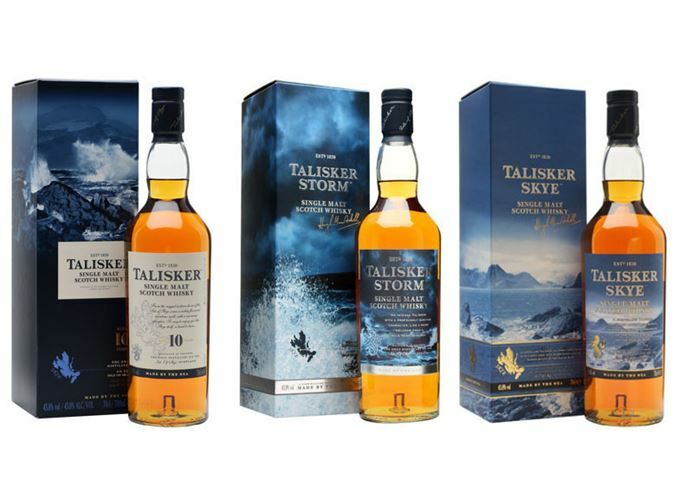 However, of these 16 expressions, only three are below my personal £40 ceiling that I try to stick to when buying, and of these, two are NAS malts: Talisker Skye and Talisker Storm. Only the 10-year-old trade bottling exists in this group. The other 16 bottlings are priced from just below £50 (another NAS) to £699 for a 35-year-old distilled in 1977. Clearly I (and my ilk) cannot figure greatly in the future marketing plans for Talisker, but many other distillers are not adopting NAS for their core ranges. Arran will remain age-statement only (apart from limited expressions) and Dewar’s have no plans to change either. Thank God. But I am getting older (the NAS bottlings, most likely, are going in the opposite direction) and that’s my problem. I carry an age statement and I want my malt to carry one as well. As campaigners battle to keep Landseer’s painting in Scotland, we delve into its history. A motorcycle tour of the Borders takes in everything from the Devil’s Porridge to lost distilleries. The farmworker’s son whose unique vision transformed the landscape of Scotch whisky distilleries.